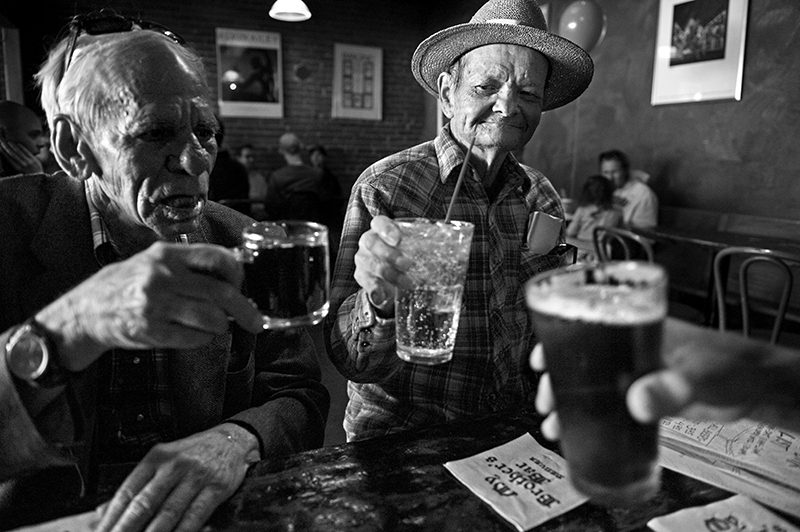 Cecil and Carl toast with a friend to celebrate Carl's 72nd birthday at My Brother's Bar in Denver. The couple agrees they met in a bar in 1969, but differ on the location. "There was a dispute we've never settled about where we met. I say it was in Mary's Bar and Carl says it was the Backdoor," Cecil said. "He came up and asked me a silly question. We got to talking and we spent the night together. We decided to see each other again."